Boeing Co. may need to rethink one of the most distinctive features of its proposed new mid-range jet -- a small freight hold -- to win over customers in Asia, potentially the plane’s largest market. The planemaker faces a “cargo conundrum,” for the jetliner dubbed the 797 by industry observers, said Domhnal Slattery, founder and chief executive officer of Avolon Holdings Ltd., the world’s third-largest aircraft leasing firm. Major U.S. carriers and their counterparts across the Pacific have very different views on how much baggage and freight the airliners should haul -- specifically, the Asian companies want to carry more, Slattery said. The disagreement potentially calls into question the distinctive oval-shaped fuselage that Boeing is planning for the 797, which suggests a leaner cargo mission. Boeing has revealed few details about its first all-new jetliner since the 787 Dreamliner. The general plan is for a two-aircraft family designed to overlap the largest single-aisle planes and smallest wide-body models. The twin-aisle planes would seat between 220 and 270 passengers, Randy Tinseth, a Boeing vice president for commercial marketing, said Monday. The new middle-of-market aircraft, which would debut by 2024 or 2025, would be able to fly about 5,000 nautical miles. The goal is to serve both heavily congested short-range flights within China and Asia as well as longer routes from, say, the U.S. Midwest to Europe more efficiently than current generations of Airbus SE’s A330 and Boeing 767 jetliners. Boeing thinks the aircraft have the potential to open up hundreds of new direct routes, much like its 787 Dreamliner, whose fuel-efficiency and long range prompted airlines to connect 170 new city pairs, Tinseth said. Delta Air Lines Inc. and United Continental Holdings Inc. are among the operators that have signaled their interest in the 797. As Chicago-based Boeing worked with about 50 customers around the world to hone its design, the large U.S. network carriers indicated belly cargo isn’t a high priority. 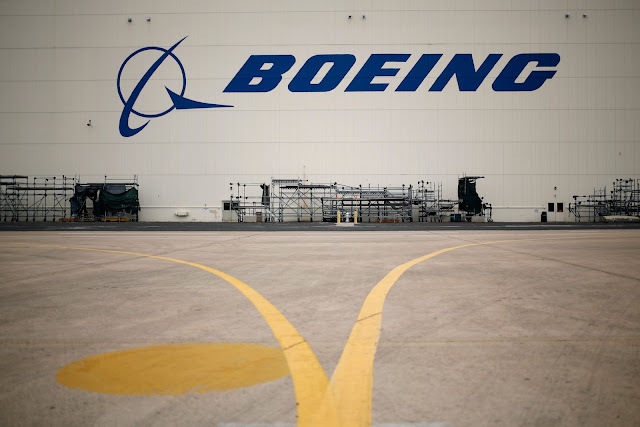 That freed Boeing to consider a frame that analysts have described as “ovoid,” pinched on the sides to provide for a roomier passenger cabin and smaller cargo hold. For Boeing, “This raises a very interesting strategic question: where is the biggest market for this airplane over a 25 year period? Unquestionably, it’s Asia,” Slattery said. The plane, if it is launched, would emerge at a time when the aviation market is tilting toward rapidly growing airlines in China and other Asia-Pacific countries. The growth is a product of an expanding middle class that’s beginning to seek travel by air for the first time. Of the 1,350 unique new-city pairs launched worldwide last year, about 600 were in Asia, including roughly 400 in China, Slattery said. Within the domestic market served by U.S. carriers, only 61 new city routes were created. “Historically Boeing would have launched an airplane like this with a U.S. major,” Slattery said, noting the large need of airlines such as United, Delta and American as they eventually replace their 757 and 767 fleets. “Boeing has to be super-careful that they build an airplane that is fit for purpose in Asia, because that’s where the action is."